Bookassist is happy to announce the return of former client Hotel Ponte Sisto. 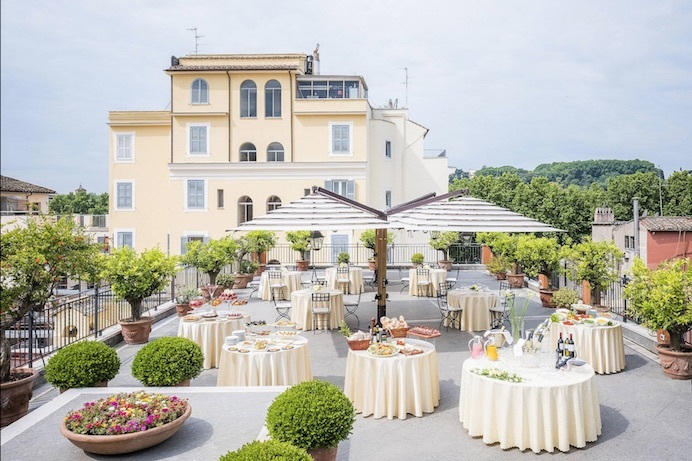 The 4 star, 103-room Hotel Ponte Sisto, located in Rome, was a Bookassist client for four years before taking the decision to try out an alternative solution with a different provider. “We were happy with Bookassist and the hotel was performing well but we were approached by another provider who offered us a solution at a lower cost, so we opted to go with them” said Giuliana Trasmondi, Sales & Marketing Director, Hotel Ponte Sisto. After just one year Hotel Ponte Sisto returned to Bookassist. The hotel now uses the full Direct Booking platform to include booking engine, web design and digital marketing. At the ITB Trade Show in Berlin today, Bookassist launched V10 Mobile, their all-new mobile-first booking platform and the world’s most advanced mobile booking platform for hotels. Bookassist’s V10 Mobile is a full-featured mobile booking experience, optimised for touch and built with the latest and fastest user experience (UX) technologies. V10 Mobile is the first release from Bookassist’s all-new booking platform. The V10 booking platform has been completely rewritten from the ground up to take account of hotelier and customer feedback, to bring intelligent data use to the system, and to adopt the latest standards in user interface technology. The platform forms the basis of all Bookassist’s future developments in booking technology from mobile to desktop. Unlike others who strip out features and complexity to make mobile booking light and fast, Bookassist has built V10 Mobile as a full-featured mobile booking experience using the latest UX technologies to ensure true mobile-readiness and speed from day one. Mobile is no longer the poor cousin to desktop. 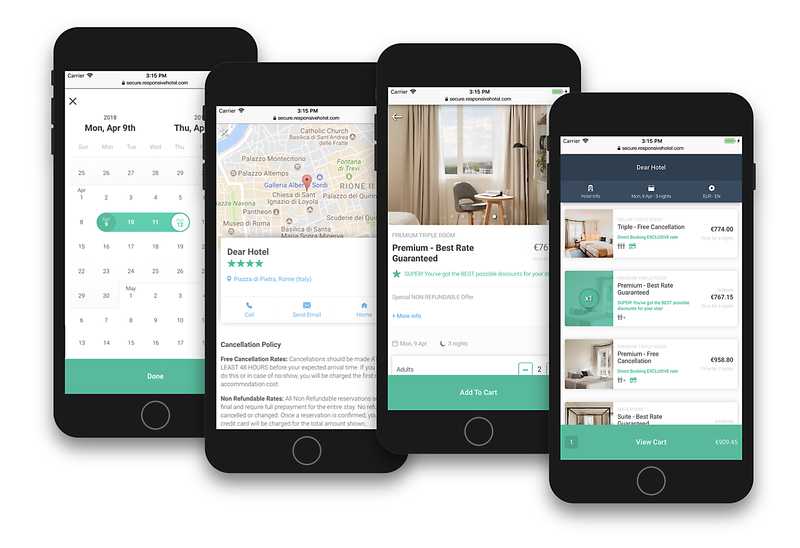 V10 Mobile packs in every key booking requirement so that hoteliers can offer the full booking service and experience to their mobile customers. Features built into V10 Mobile include: room configuration with dynamic pricing, ability to add extra beds to rooms, options to choose different meal plans, room-level extras, promo code and voucher entry, Intelligent Pricing for mixing rates and discounts on each day of the stay to give customers the best possible overall stay price, book without credit card. Delivering a truly engaging, touch-optimised mobile experience is critical for hotels, especially since desktop traffic to hotel websites is fast becoming a minority. Failing to provide a complete but simple to use booking experience represents wasted opportunity for hotels who want to boost direct booking potential. V10 Mobile is also built right into Bookassist’s Smart CMS web design product, bringing best of breed web design and mobile experience, as well as future-proofing, to hoteliers. V10 Mobile is rolling out to all Bookassist clients in the coming months and makes its way to tablet and desktop later in 2018 to become the company’s new platform standard. V10 Mobile is being introduced on a phased basis. If you want your hotel’s customers to experience V10 Mobile as soon as possible, please contact us to register your interest. Bookassist® is The Direct Booking Expert™. The company develops and manages award-winning digital strategies for hotels to help them build brand online, drive direct bookings, enhance ancillary revenue and improve their profitability while reducing dependence on third parties. With over 100 staff at offices in Dublin, Madrid, Rome, Vienna and Prague, the company is a recognised innovator and authority in the direct booking space and a three-times winner of the World’s Leading Booking Engine Technology award. At the ITB Trade Show in Berlin today, Bookassist announced a major update to its popular Smart CMS web design and content management system designed to help hoteliers do more direct booking business. The latest release of Smart CMS has been completely redesigned to intelligently organise tasks into three key areas - Setup, Management and Sales Optimisation. Setup allows you to alter your site’s look and feel to ensure you are never out of date. Day to day control of information such as images, video, virtual reality tours and other content is accomplished in the Management section with new, simplified drag and drop interfaces to make website updating a cinch. Powerful engagement tools such as call to action banners, configurable pop-up messages, abandonment tools, special offers and promo code functionality form part of the Sales Optimisation section designed to help hoteliers adopt best practice in online conversion. Smart CMS features comprehensive video tutorials for each option to guide hoteliers through every step so that users get the most out of the platform for their business. As a fully responsive platform, Smart CMS will now also take advantage of Bookassist’s new V10 Mobile booking platform, directly built into all new Smart CMS generated websites. “Bookassist Smart CMS changes the game in hotel website management. With this latest redesign we are focused even more on helping hotels to optimise sales, with built-in engagement tools and high quality management capabilities”, said Des O’Mahony, Bookassist CEO and Founder.